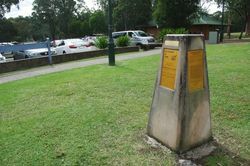 A monument commemorates the remarking of the first survey over the Blue Mountains by George Evans in 1813-1814 and celebrates the bi-centenary of Australia in 1988. 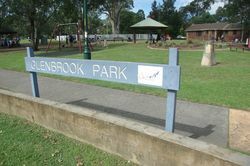 A similar marker is located at Springwood. 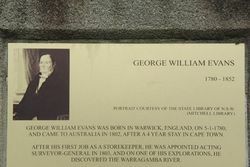 George William Evans (5 January 1780 – 16 October 1852) was a surveyor and early explorer in the colony of New South Wales. 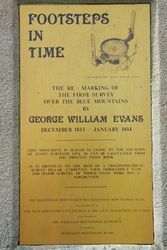 On 13 November 1813 Governor Lachlan Macquarie sent Evans across the Blue Mountains into the Wiradjuri nation of central-western New South Wales to confirm the findings of the exploration party of Blaxland, Lawson, and Wentworth. 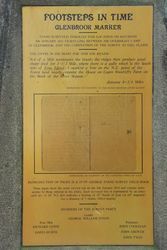 He was the first European to record meeting with the Wiradjuri people of the region. Evans generally followed the route of Blaxland, Lawson and Wentworth, reaching the end of their route on 26 November 1813 at a point Evans named Mount Blaxland. 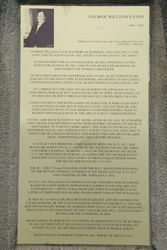 Evan's party then moved on and discovered the Fish River area and further west near the junction of the now named Fish and Campbell Rivers and described two plains in his view, the O'Connell Plains and the Macquarie Plains. 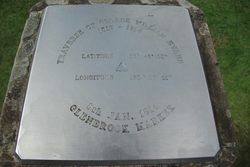 It was on 9 December that he reached the site of present day Bathurst.